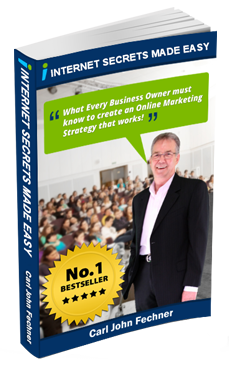 Do you use LinkedIn to market your business? Interested in setting up a company page? LinkedIn company pages help build brand awareness by providing a channel to promote your products and services to customers and prospects. In this article you’ll find out how to create a LinkedIn company page to promote your business. Thanks to Elizabeth Malone-Johnstone for writing this article. 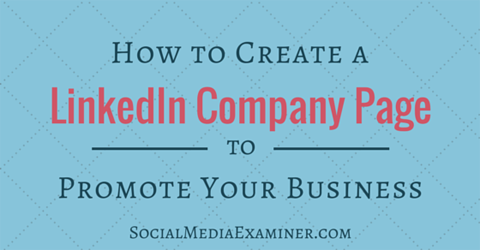 Discover how to create a LinkedIn Company Page to promote your business. 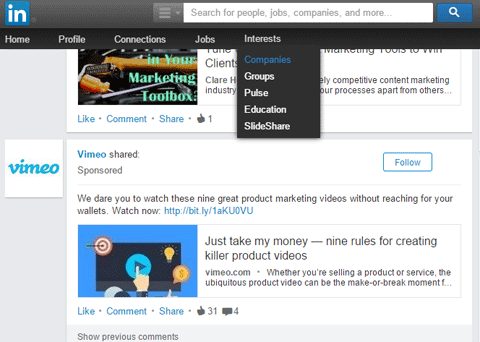 To get started, go to Interests at the top of your LinkedIn homepage and select Companies from the drop-down menu. To get started, choose Interests & Companies from the homepage. 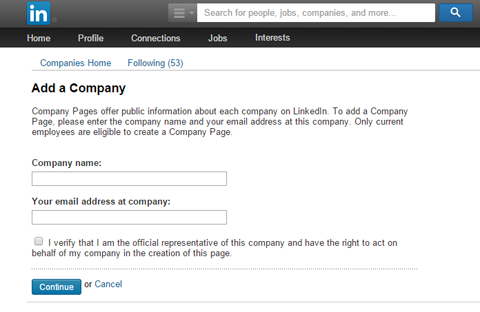 Click the Create button in the Create a Company Page box on the right of the screen. Click the Create button to set up your page. Enter your company’s official name and your work email address. Fill in your company name and your work email address. Click Continue and then enter your company information. 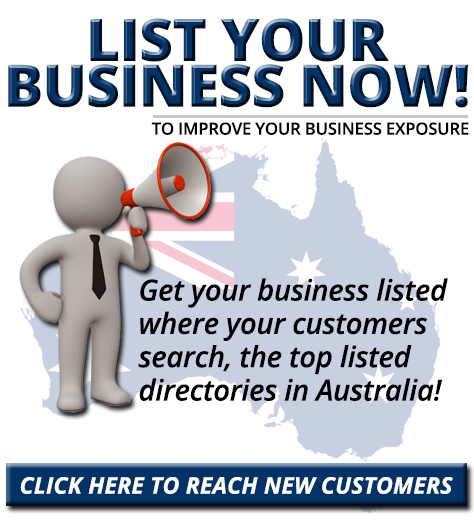 This is where you can type in an overview and detailed description of your company. Be sure to mention specialties, key products and services and include a sentence or two about what makes your company unique. A LinkedIn company page is essentially a piece of real estate for your brand, so make the most of it. Upload your company logo and a banner image to make your page stand out. Your logo is what LinkedIn users see when they search for your company. It also appears on staff profiles, so make sure that all of your employees add the company page to their profiles to reach a wider audience of LinkedIn users. Resize your logo to the standard logo dimensions of 100 x 60 pixels before uploading it. Also upload a logo that’s 50 x 50 pixels. This square logo will appear in status updates in followers’ feeds, as shown here. Upload a square logo that will appear in status updates. Next, create an eye-catching background image and feature key messaging on your page. You can choose from lots of great free graphic design tools to design a professional, branded banner image. If you use Canva, click the Use Custom Dimensions option on the dashboard and set the template to 646 x 220 pixels to fit the banner requirements for company pages. Use a graphic design tool to create a background image for your page. Feature a key campaign line or brand message. Display a brand message on your banner image. Welcome visitors to your page by throwing open the doors to your workplace. 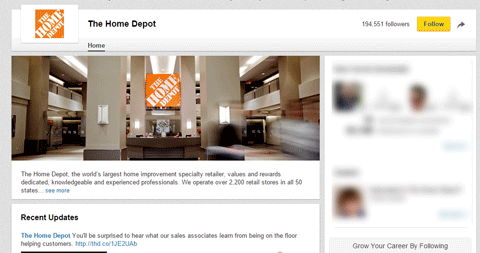 Use your banner image to invite visitors into your workplace. Feature a picture of a happy customer using your product. Show a satisfied customer using your product. Now it’s time to create some quality content and plan a schedule of updates that your audience will find interesting and helpful. Think of your company page as a discussion forum rather than an advertising platform. While you can (and should) post company news, this isn’t a direct sales channel. It’s a place for industry talk and thought-leadership content. Your key objective is engagement, so post helpful tips, advice and resources related to your industry. If you solve a problem for users, or make their jobs easier in some way, they’ll be more likely to share your content with their peers. 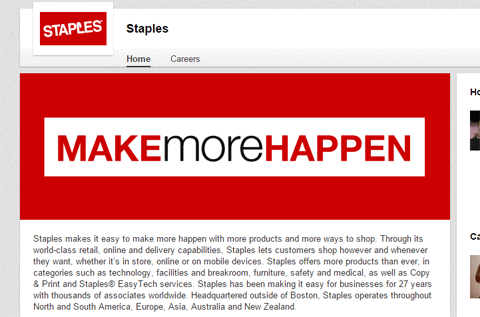 On Staples’ company page, they offer business advice on a wide range of topics, from managing sensitive documents to optimizing your small business website. Rather than focusing on products and services, their content is geared towards helping their target audience. Keep your audience in mind when choosing what content to post. LinkedIn doesn’t require the same level of activity as some of the other social channels, so don’t overload your followers’ feeds with updates from your company page. Post one update per day to start. It’s best to post on LinkedIn on weekdays during business hours. Tuesday, Wednesday and Thursday are the best days to post. The best times tend to be early in the morning between 7 and 8 am, and towards the end of the workday between 5 and 6 pm. AddThis analyzed data from 14 million users and determined that content posted on Tuesday between 10 and 11 am gets the most clicks and shares on LinkedIn. Keep in mind that you can save a lot of time by scheduling your updates in advance. There are a number of free tools you can use for scheduling, including Hootsuite and Buffer. While following best practices is a great place to start, it’s important to review the performance of your company page updates and adjust your content as needed. Use your LinkedIn company page analytics to find out which updates are getting the most impressions and driving the most engagement. Review your company page analytics to find out which updates get the most engagement. Mobilize the people in your office. Encourage employees to add the company to their personal profiles. This way, they’ll receive company updates and be able to share them with the click of a button. Add a link to your page in your email signature and promote your page in newsletters and blogs. 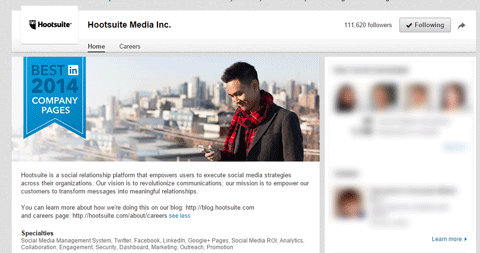 Add LinkedIn’s nifty Follow Company button to your website to encourage more followers. LinkedIn showcase pages are an extension of your company page and can be used to highlight certain brands or product lines. They allow you to customize your messages for different segments of your audience.LinkedIn users can follow showcase pages for topics or products that they’re interested in. This means that the content they see in their news feeds will be more focused and relevant to them, which is likely to result in higher engagement. 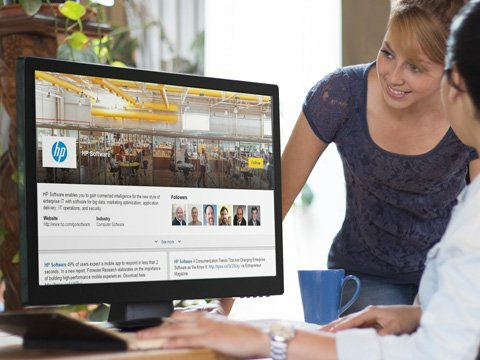 The HP company page links to a number of showcase pages, including this one for HP Software. Showcase pages allow you to customize your content for different audience segments. Image: Placeit. Now you have all of the information you need to jump in and create a LinkedIn company page for your business. What do you think? Have you created a company page? Do you have any questions about setting up a page? Please share your thoughts in the comments below. HP Software Showcase page image created with Placeit.